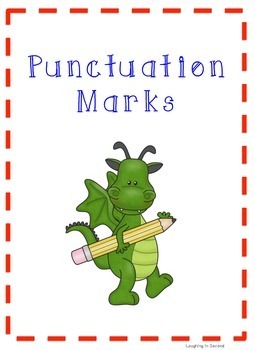 Punctuation themed punctuation posters to use in a writing center, bulletin board or other classroom decor. 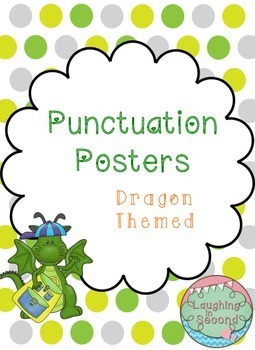 Includes posters for period, exclamation point, question mark, apostrophe, comma, colon, hyphen, semi-colon, parenthesis and quotation marks. 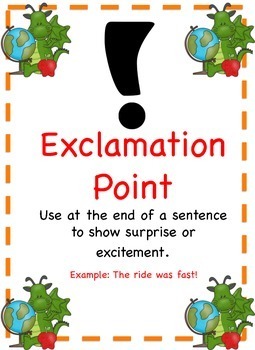 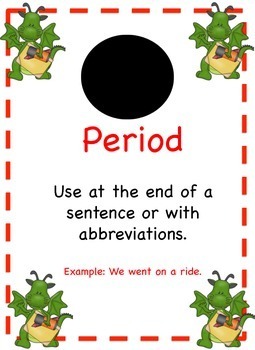 Each poster gives a picture of the punctuation, an explanation and an example.